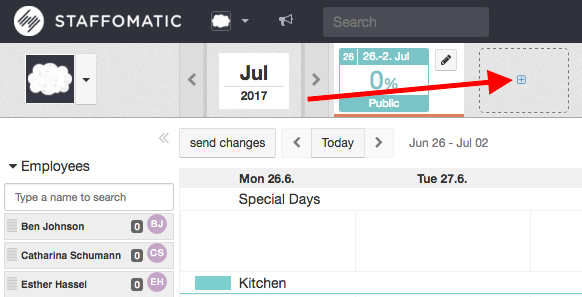 Simply click on the plus icon in the schedule overview to plan a new week. A new window will pop up where you can set the details of your weekly schedule. 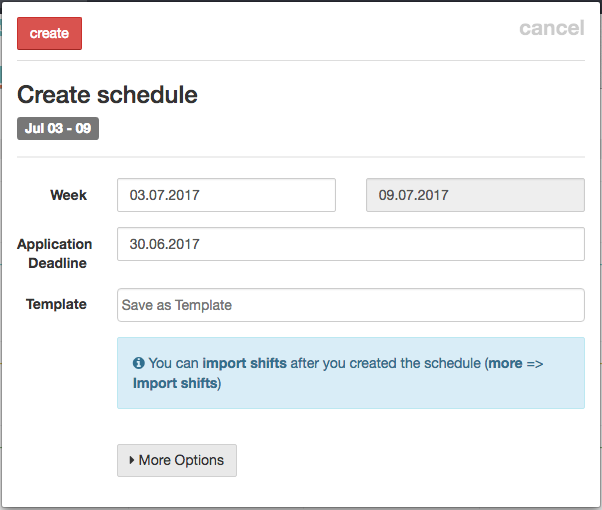 You can also decide if the schedule should be saved as a template. The application deadline sets the date until when employees can apply for a shift. This is just a guideline, applications are still possible after the end of the deadline. To finish the procedure click on 'create'.